Countdown the days to Christmas with this fun and free printable Advent Calendar. Add one of the cute ornaments to the tree each day and Christmas will be here before you know it. And that means only 24 more days until Christmas!! Are you counting down the days or feeling behind the 8 ball and stressed? I'm a little of both right now. I can't wait for Christmas and to see my college kids again, but I haven't completed even one gift yet, or put up any decorations. But one of my favorite decorations of the holiday season is Advent Calendars. (See all my favorites on our Advent Calendar Pinterest board!) I love to collect the crazy countdowns and watch the days disapear and the holiday fun appear. 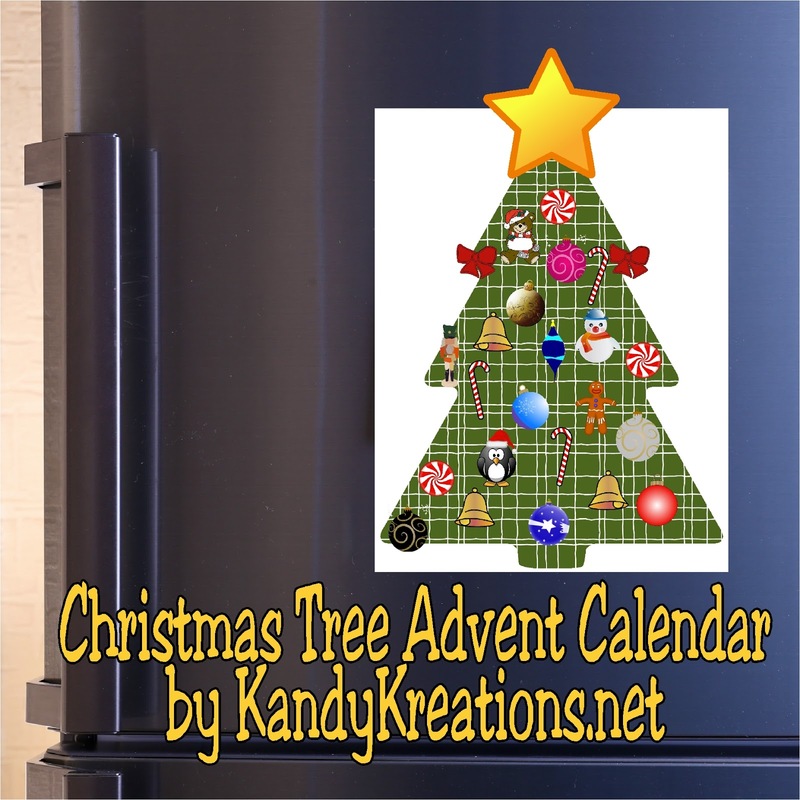 So for the first day of the semi-annual 30 days of Printables, I'm sharing a printable advent calendar Christmas tree! I love to make my own advent calendars (did you see our Halloween version?) You can make them with any design or theme and they are so much fun. I designed this one to be printed on a 8x11 regular piece of Magnet Sheets . 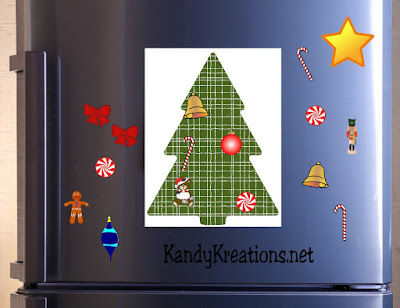 This way you can add it to your refrigerator and your kids can decorate it when they are bored, or you can count down the days to Christmas to help you get all your baking done. 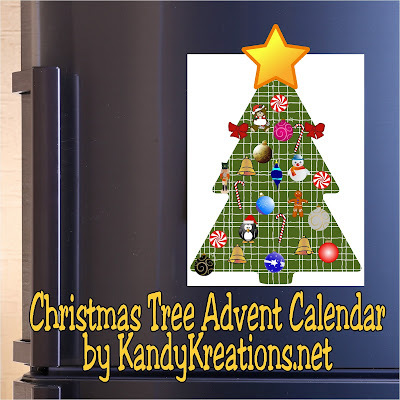 Simply save the Christmas Tree Advent Calendar printable zip file from here. (Be sure to save and unzip it or you won't be able to print.) Then print it on to magnet paper and cut out your tree and ornaments. There are 25 different ornaments so you can add one each day and the star on Christmas! Lots of fun for you and the kids!